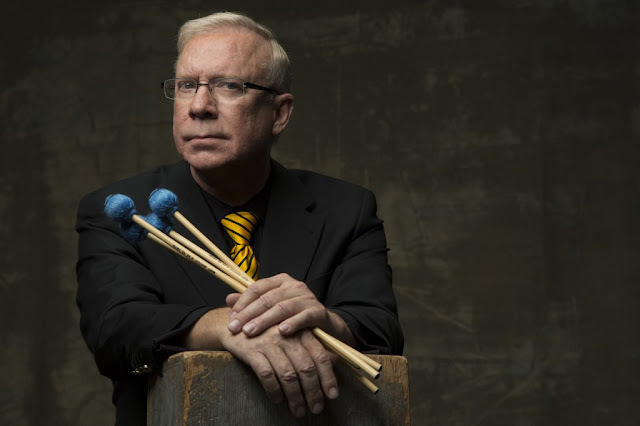 Gary Burton was born today, January 23, in 1943. He is an American jazz vibraphonist, composer, and educator. Burton developed a pianistic style of four-mallet technique as an alternative to the prevailing two-mallet technique. This approach caused him to be heralded as an innovator, and his sound and technique are widely imitated. He is also known for pioneering fusion jazz and popularizing the duet format in jazz, as well as being a major figure in music education from his 30 years at the Berklee College of Music. Burton was born in Anderson, Indiana. Beginning music at 6 years old, he mostly taught himself to play marimba and vibraphone. He began studying piano at age 16 while finishing high school at Princeton Community High School in Princeton, Indiana. He has cited jazz pianist Bill Evans as the inspiration for his approach to the vibraphone. Burton attended Berklee College of Music in Boston. He studied with Herb Pomeroy and soon befriended composer and arranger Michael Gibbs. After establishing his career during the 1960s, he returned to join the staff of Berklee from 1971–2004, serving first as professor, then dean, and executive vice president during his last decade at the college. In 1989, Burton received an Honorary Doctorate of Music from Berklee. Early in his career, at the behest of noted Nashville saxophonist Boots Randolph, Burton moved to Nashville and recorded with several notable Nashville musicians, including guitarist Hank Garland, pianist Floyd Cramer and guitarist Chet Atkins. After touring the U.S. and Japan with pianist George Shearing, Burton played with saxophonist Stan Getz from 1964 to 1966. It was during this time that he appeared with the band in the movie Get Yourself a College Girl, playing "Girl from Ipanema" with Astrud Gilberto. In 1967 he formed the Gary Burton Quartet with guitarist Larry Coryell, drummer Roy Haynes, and bassist Steve Swallow. Predating the jazz-rock fusion craze of the 1970s, the group's first album, Duster, combined jazz, country, and rock. However, some of Burton's previous albums (notably Tennessee Firebird and Time Machine, both from 1966) had already shown his inclination toward such experimentation. After Coryell left the quartet in the late 1960s, Burton hired a number of well-regarded guitarists: Jerry Hahn, David Pritchard, Mick Goodrick, Pat Metheny, John Scofield, Wolfgang Muthspiel, Kurt Rosenwinkel, and Julian Lage. Burton was named Down Beat magazine's Jazzman of the Year in 1968 (the youngest to receive that title) and won his first Grammy Award in 1972. The following year Burton began a 40-year collaboration with pianist Chick Corea, recognized for popularizing the format of jazz duet performance. Their eight albums won Grammy Awards in 1979, 1981, 1997, 1999, 2009, and 2013. From 2004 to 2008 Burton hosted a weekly jazz radio show on Sirius Satellite Radio. In 2011, he released his first album for Mack Avenue Records, entitled Common Ground featuring the New Gary Burton Quartet (with Julian Lage, Scott Colley, and Antonio Sanchez). In 2013, the group released "Guided Tour," their 2nd recording for Mack Avenue Records. Burton's autobiography, Learning to Listen, was published in August 2013, and was voted "Jazz Book of the Year" by the Jazz Journalists Association. Burton retired from performing in March 2017 following a farewell tour with pianist and longtime collaborator Makoto Ozone. Following an early marriage in his twenties, Burton married for a second time, in 1975 to 1984. By the 1980s, Burton was in a gay relationship and he came out publicly in a 1994 radio interview with Terry Gross, making him one of rather few openly gay jazz musicians of prominence. In 2013, he married his longtime partner, Jonathan Chong.